You are not alone if you are a small investor struggling to get professional guidance from an unbiased financial adviser. Unitl recently the vast majority of financial advisers received fees and commissions for signing the investor up to a managed fund. Usually they worked for dealer groups and were either direct employees of the company issuing the product (fund) or had some other association via the dealer group. 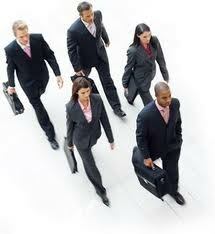 Most of them were sales people rather than advisers in the true sense of the word. Only a small proportion of financial advisers could be considered truly independent. The rest were taking fees off the product provider with potential to influence the advice you received. Those fees and the "trailing" commissions have often been substantial. You should note that from 1 July 2013, trailing commissions are banned on new products, but may still continue on existing products. Some advisers may also suggest you switch your investments and their motivation may be as simple as the kick-backs they collect when you do so. These problems are widely acknowledged in the industry because it reflects on ethical standards and the general integrity of the market place. They are problems that are gradually being addressed by the Future of Financial Advice reforms (FoFA) under which financial advisers have to reveal the actual dollars they are charging in fees. So where do I go for advice? Frankly we don't know. We too are guilty of using the expression "you need to get independent financial advice" without being sure where the investor will find it. There is no official Australian register of independent financial advisers to our knowledge. One newly formed association, the NTAA Financial Planners' Association, possibly comes close, although members of the NTAA are traditionally tax and accounting professionals. If you really believe you need advice, it is better that you try to find a fee-for-service adviser who has no vested interest in recommending a particular fund. We acknowledge the problem in finding such a person. But if you can find an adviser, ascertain how they operate and be sure you understand exactly how they charge and what they charge. Ask them directly if they have commission arrangements with any of the fund providers they are recommending. Initially don't entrust too much to any one. You should confirm with them that they derive no benefit whatsoever from putting you into a fund. If you cannot find such an adviser you should insist they disclose any benefits of any nature, that they may be entitled to. This should include amounts or benefits receivable by the adviser or related parties at any time. And you should have this disclosed up-front and certainly prior to receiving any advice. At all times your adviser should act professionally and efficiently and talk to you in plain language. You should ensure you have a clear understanding of any investments they propose, including any alternatives they may canvas. You should be satisfied you understand the fees, risks and potential rewards. Agree in writing a plan of action. Agree in advance which funds are proposed. Then do your own research, get second opinions before committing and don't in any circumstances put all your eggs in one basket. Probably not if you are a novice investor. But if you have some experience and knowledge of managed funds, there is a lot to be said in favour of doing as much of your own research as possible. 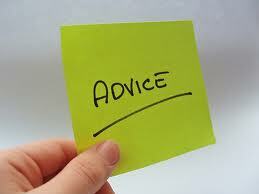 Even if it is only to confirm adviser recommendations or have them confirm yours. InvestoGain aims to point you in the right direction and equip you with the skills and understanding so that ultimately you are confident in selecting the right fund for yourself. So take the time to read and understand our web pages on managed funds. And if I have a dispute? Firstly try to resolve it with your adviser. All advisers are required to belong to an external dispute resolution service and make contact details of that scheme available to clients. Their clients thus have an avenue for redress when a dispute arises. Future of Financial Advice - an Australian government website that outlines the long overdue reforms for removing hidden commissions and tackling conflicts of interest in the financial planning sector.